Popular infielder Alex DeGoti featured on annual major giveaway item. VICTORIA, B.C. — Alex DeGoti is one step away from the Major Leagues, having reached the AAA level in a very strong Houston Astros organization, but he can cross off one major career goal already. Really, who doesn’t yearn to someday have their own bobblehead? 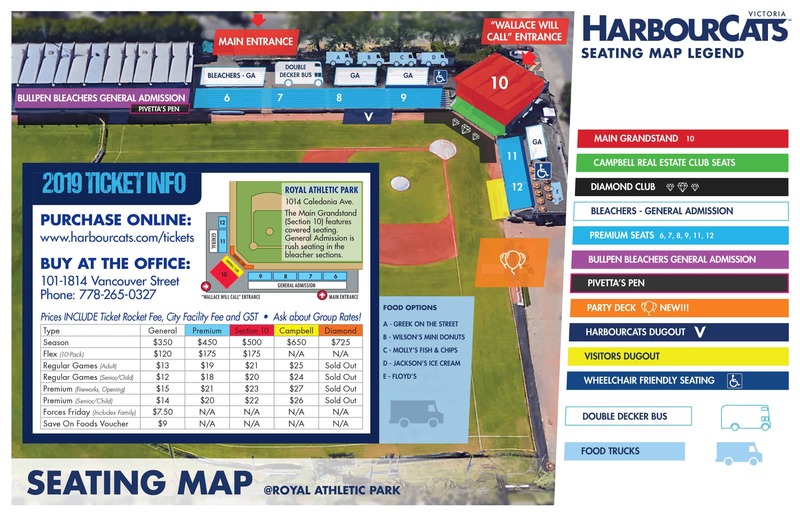 DeGoti, an infielder who starred for the HarbourCats during the team’s first three years of existence (2013-14-15), is the player of focus for this year’s bobblehead giveaway on Sunday, June 9th, 1:00 PM at Wilson’s Group Stadium in Victoria. The bobblehead, and that game day, are sponsored by the Vancouver Island Construction Association (VICA). This is their second-annual HARDHATS IN THE BALLPARK event — punctuated last year by lineups at the gate to get their hands on the special edition Claire Eccles bobblehead. VICA, which does a tremendous job of advocating for the construction industry the entire length of the island, has been able to design a great family day for their members, with everyone enjoying a sunny day at the ballpark. 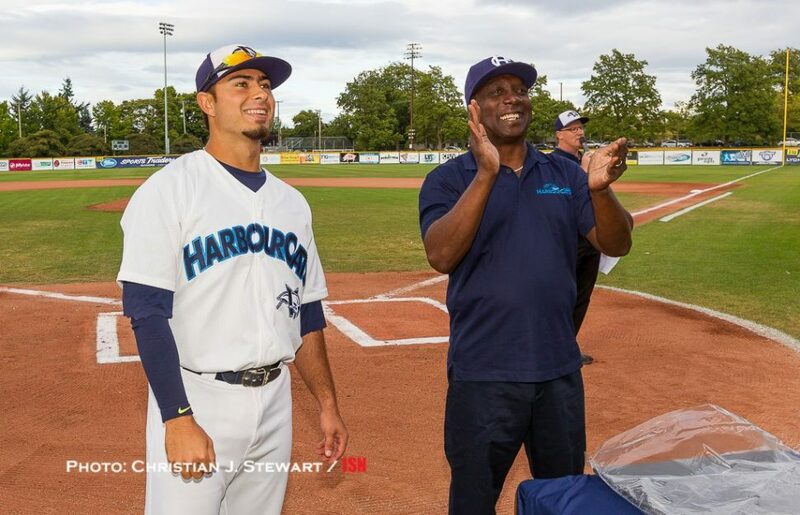 California Bears outfielder Sam Cachola, who played for the HarbourCats in 2017, headlines the list of latest 2019 recruits that also includes RHP Aaron Celestino and OF Jordan Thompson from Incarnate Word in San Antonio, IF Griffin Paxton from University of Texas San Antonio and Miami of Ohio LHP Nick Urbantke. SAM CACHOLA, OF, Cal Bears — Returns to HarbourCats after spending 2017 in Victoria, 5-10/196 from Irvine, CA, has won academic awards his whole career, Perfect Game All-American — and he can play the ukulele! RH-hitter is hitting .400 this season with just one strikeout this season. AARON CELESTINO, RHP, Incarnate Word — Right-hander from Houston, 6-2/200, sophomore is currently 3-2 with a 2.70 ERA and 15 strikeouts, giving up just one extra-base hit. Had success in lower-league summer ball in 2018. GRIFFIN PAXTON, IF, UT-San Antonio — A junior at 6-2/200, lefty hitter can play corner, a two-time academic All-American, from West, TX, born in Waco. Hitting .266 with 14 RBIs. JORDAN THOMPSON, OF, Incarnate Word — Speedy freshman outfielder, 5-9/155, from Boerne, TX, hitting .303 with seven stolen bases without being caught, also has two home runs and 18 RBIs this season. Has also been hit-by-pitch eight times. NICK URBANTKE, LHP, Miami-OH — Junior lefty from Lorena, TX, 6-2/215, transfer from McLennan CC, has a 0.82 ERA this spring. Our off-season office hours at 1814 Vancouver Street are now 10:00 am to 5:00 pm Monday through Friday. We are closed (or by appointment only) on Saturday and Sunday.